Resident Evil 6: The newest chapter in the Resident Evil franchise brings three separate yet interwoven storylines together as they fight to survive the global C-virus outbreak. Resident Evil Director's Cut - Return to the mansion that started it all! The S.T.A.R.S. Bravo team has been sent to the outskirts of a remote Midwestern city to investigate a number of grisly murders. Little do they know the worst is yet to come. Resident Evil 2 - The T-virus has consumed Raccoon City leaving rookie cop Leon S. Kennedy and Claire Redfield stranded in a city overtaken by zombies and powerful B.O.W.s (bio-organic weapons). 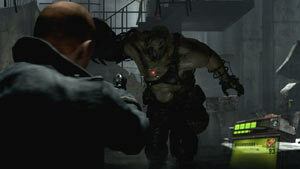 Resident Evil 3: Nemesis - With Raccoon City crumbling, Jill Valentine's last escape is stopped dead by a monstrous B.O.W. known as the Nemesis, who's programmed to eliminate the last remaining members of S.T.A.R.S. Resident Evil 4 HD - The President's daughter has been kidnapped and Leon S. Kennedy is on assignment and back in action in Europe to track her down and investigate a mysterious cult coming to power. Celebrate the upcoming release of Resident Evil 6 with the complete library of Resident Evil 1-6. Included in this PlayStation 3 exclusive Resident Evil 6 Anthology package is the latest installation of the blockbuster series, Resident Evil 6, along with digital copies of Resident Evil Directors Cut, Resident Evil 2, Resident Evil 3: Nemesis, Resident Evil 4 HD, and Resident Evil 5 Gold Edition redeemable on the PlayStation Network. 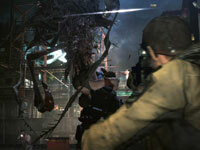 Blending action and survival horror, Resident Evil 6 promises to be the dramatic horror experience of 2012. Resident Evil favorites Leon S. Kennedy and Chris Redfield are joined by new characters, including Jake Muller, to face a new horror, the highly virulent C-virus, as the narrative moves between North America, the war-torn Eastern European state of Edonia and the Chinese city of Lanshiang. Joining this cast will be presidential aide Derek Simmons, who vows to track down Leon for his involvement in the President's death, and femme fatale Ada Wong. But what part will Ada play as the story unravels and does she have ties to the mysterious Neo-Umbrella? 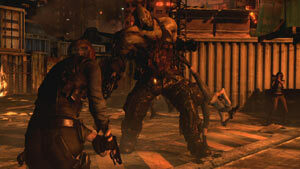 Resident Evil games 1-5 included with Resident Evil 6 in an exclusive PS3 release. Experience three distinct, yet interwoven story threads and the innovative Crossover mechanic. The most ambitious, immersive and feature rich Resident Evil to-date. Unlock Ada Wong - Once players have completed the initial three campaigns they will unlock an all new campaign featuring Resident Evil’s very own femme fatale, Ada Wong. 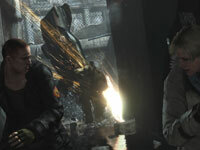 A single player experience, Ada’s campaign features unique missions, gameplay and weapons which will provide answers to the unanswered questions from the first three campaigns. Return to the mansion that started it all. The S.T.A.R.S. Bravo team has been sent to the outskirts of a remote Midwestern city to investigate a number of grisly murders. Little do they know the worst is yet to come. Originally released on the PlayStation One console in 1996. The T-virus has consumed the American community of Raccoon City, leaving rookie cop Leon S. Kennedy and Claire Redfield stranded in a city overtaken by zombies and powerful B.O.W.s (bio-organic weapons). Single-player, originally released for PlayStation One in 1998. 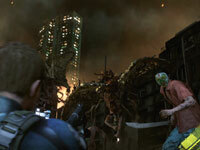 With Raccoon City crumbling, Jill Valentine's last escape is stopped dead by a monstrous B.O.W. (bio-organic weapon) known as the Nemesis, who's programmed to eliminate the last remaining members of S.T.A.R.S. Single-player, originally released for PlayStation One in 1999. The President's daughter has been kidnapped and Leon S. Kennedy is on assignment and back in action in Europe to track her down and investigate a mysterious cult coming to power. Remastered version of the multi platform Resident Evil 4, now in high definition, this Resident Evil classic has never looked better. Single-player, originally released on PlayStation 3 in 2011. Working together with his partner Sheva Alomar, Chris Redfield is sent to Africa in response to a report of parasitic B.O.W.s (bio-organic weapon) terrorizing the area. Also included are the 2 extra downloadable episodes "Lost in Nightmares" and "Desperate Escape," 2 bonus costume packs, the online multiplayer "Versus Mode," and optional PlayStation Move functionality. 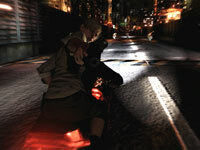 Single-player and multiplayer, originally released on PlayStation 3 in 2009. New enemies known as J'avo.